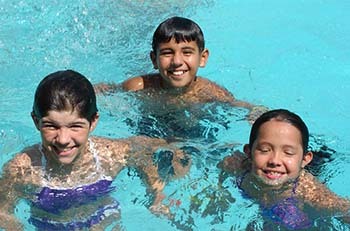 45 minute small group instruction twice a week with flexible scheduling for children of all swimming ability. Learn to swim or get better at swimming with friends. Children must be at least 4 years old and toilet trained. For ages 4 through 16½. Group sizes are 3 – 6 people. Tryout required for Levels 2-4.